January is THE BEST time to think about organizing, tidying up, and making things more efficient in the house. We’ve spent a ton of money during the holidays and, chances are, we have a lot more “stuff” hanging around from the gift giving season. What should we do with it all? How do we thoughtfully organize in a way that looks nice AND works well? 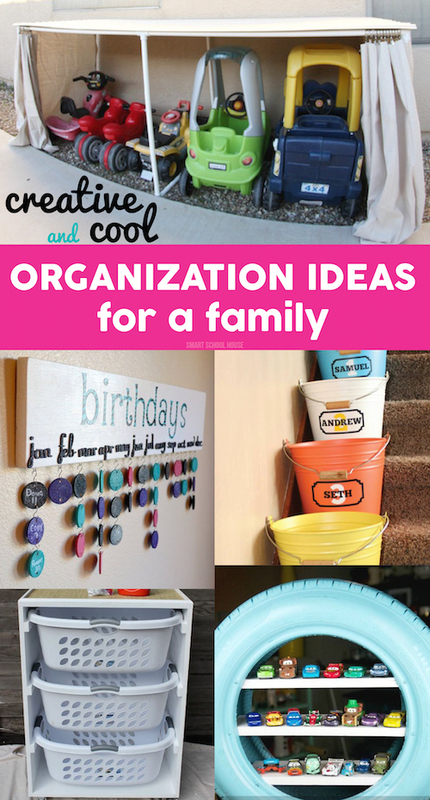 Here are my favorite Organization Ideas for a Family. We needed this, like, yesterday at my house! Brilliant. Those baskets can be heavy! Use this DIY tutorial to roll it all around and get things done faster! 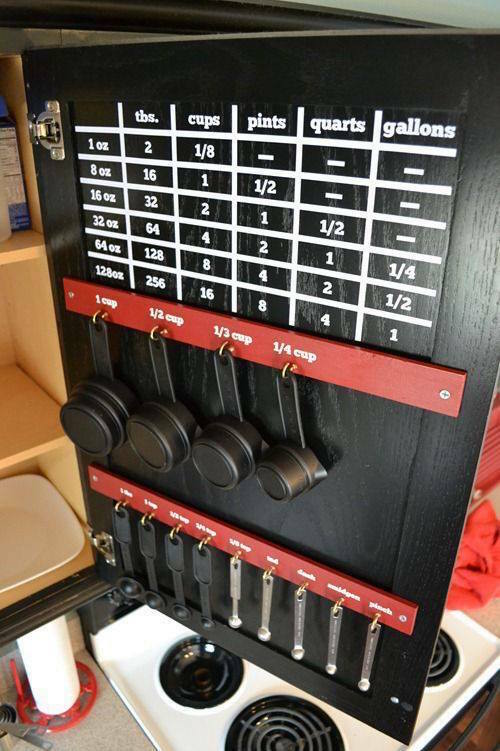 Who has a big pile of measuring cups and utensils? I do! 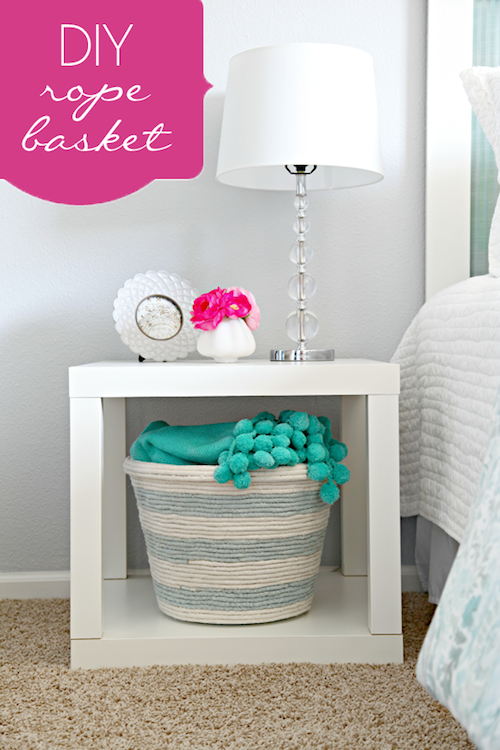 This is a wonderful space-saving solution! Uh Oh Chore Box! 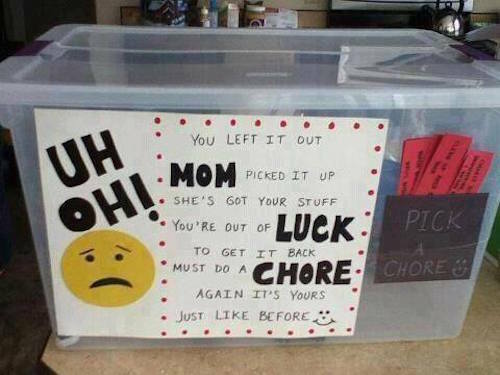 You left it out, so pick a chore to get it back. 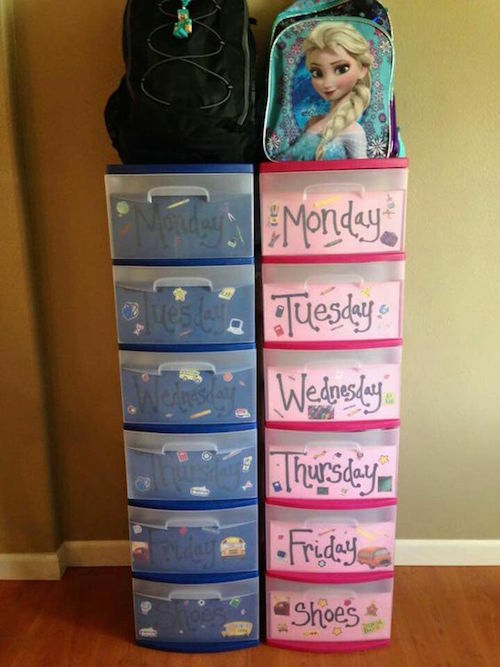 What a great way to encourage (and remind) your kids how to take part in keeping the house tidy! 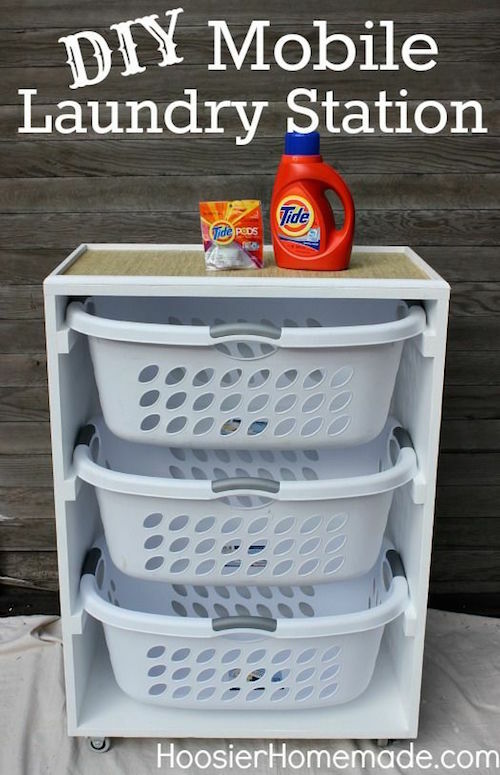 Using a laundry bin from the dollar store! Have extra pillows that are taking up space and sheets that you don’t use anymore? Consider doing this with them! If you don’t have a sewing machine or don’t know how to sew, that’s ok! You can easily make these with some Liquid Stitch (found HERE). 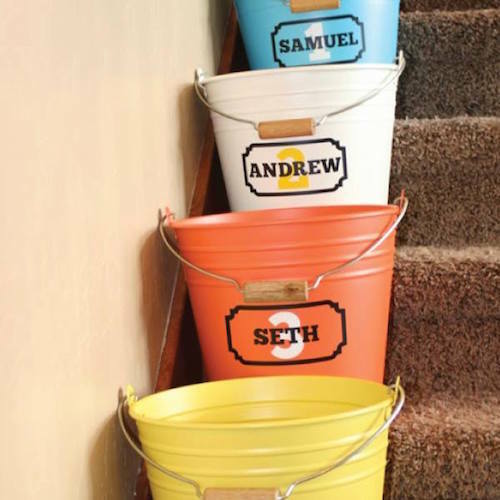 Not in the mood to DIY once of these? You can buy them pre-made HERE. Don’t you just love these? Picture source unknown. 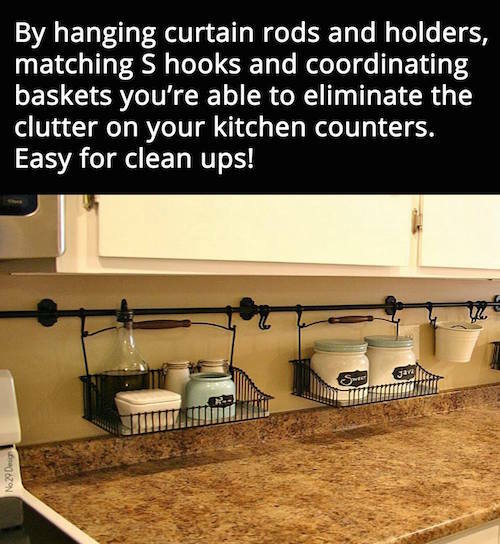 Is your kitchen feeling cluttered? Consider this brilliant and beautiful idea! Organizing old kids clothes is so time consuming and the storage bins take up so much space! 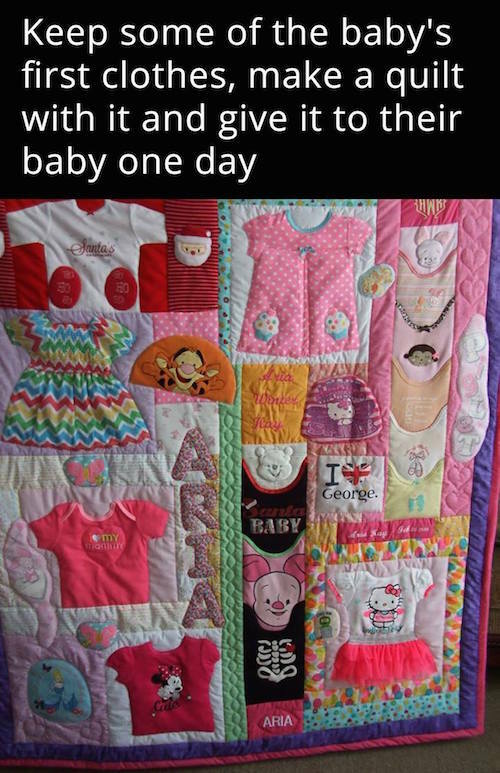 Consider making one of these (or having one made). No more game board boxes that fall apart and take up space! 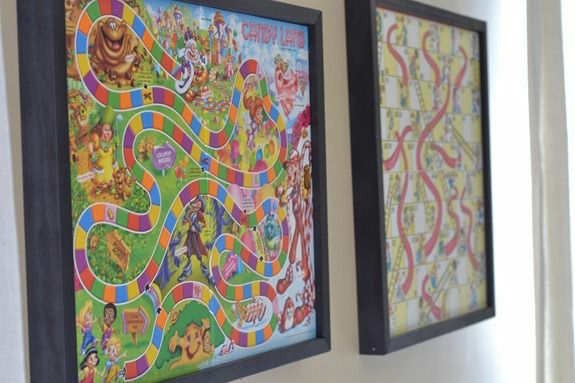 Hang games in a frame like this and attach the pieces in a baggie on the back. So smart! 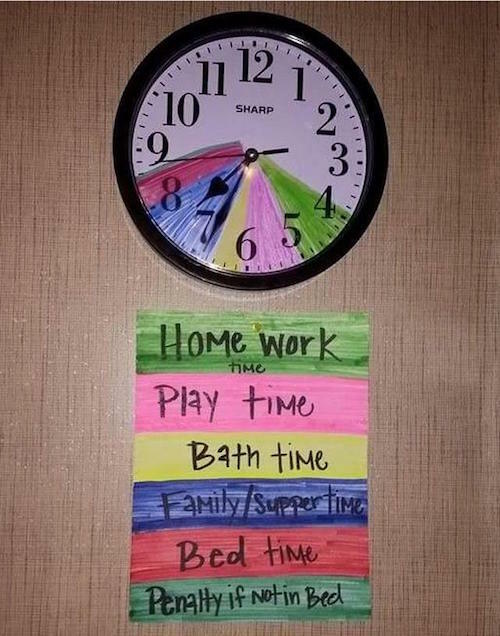 This is a great idea for teaching time management to the kids and keeping the family organized! Simply adapt it to your family’s schedule and routine. This will help mornings go a little more smoothly. Brilliant! By Kortney Brady on Instagram. 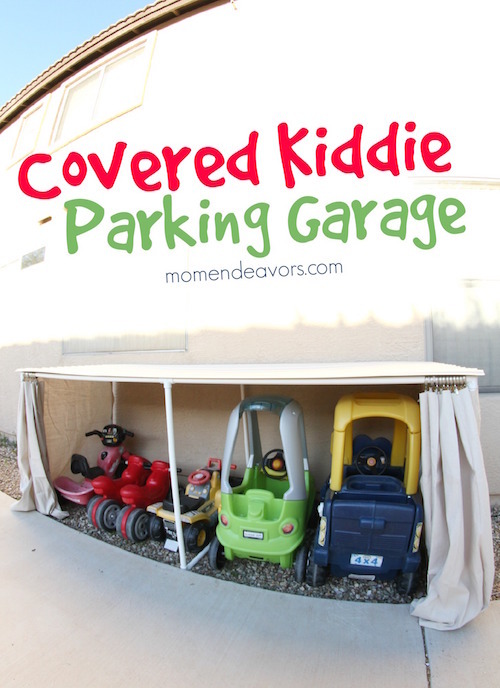 Make a parking lot for toys in the garage. So smart! 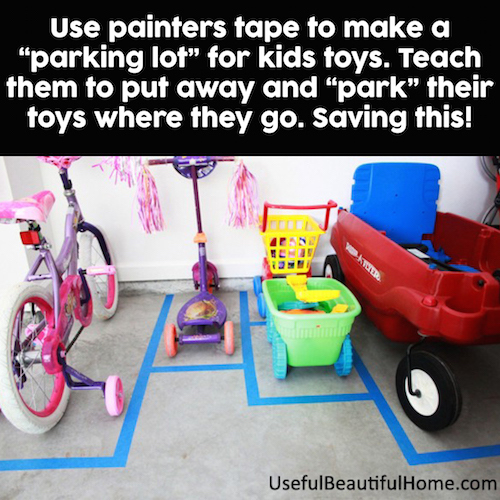 A little painters tape is all you need. There is definitely something funky going on with this post! Thank you for letting me know:) I believe it is all fixed now, but let me know if the same issue keeps happening and I’ll be sure it is taken care of. Sorry for the inconvenience! Darn it!! Can you let me know exactly which picture you’re wanting to see? When I do it, they all work. But, there must be something funky going on and I promise to get it fixed! 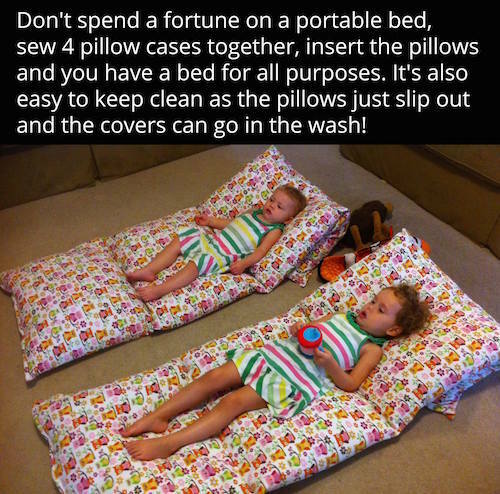 You could also sew a Tube style pillow case and insert the three pillows in their cases into the tube pillow case for a full body pillow.